Explore science and the arts through hands-on exhibits and programs. 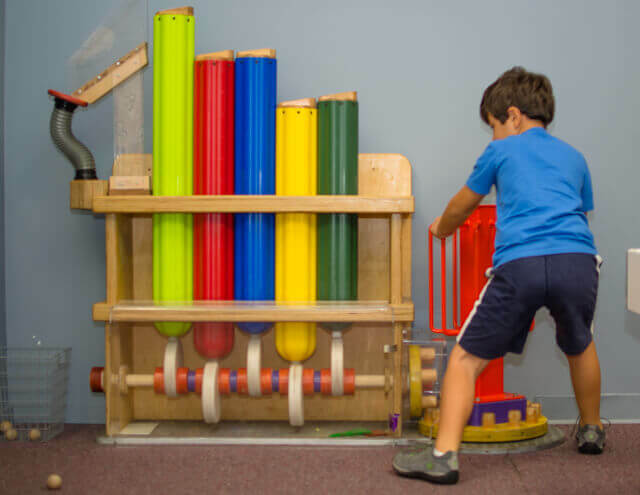 Children and their grown-ups will love exploring our interactive science, engineering, and imagination exhibits together. Dig for dinosaur fossils, engineer a ball ramp, build with giant blocks, investigate nanoscience, discover Space Weather, play dress-up and much more. Hands-on programs for children and adults are offered throughout the year. 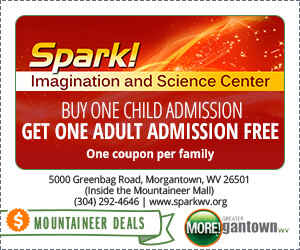 Tuesday-Saturday 10 a.m. to 1 p.m. $6 for children, $2 for adults. Memberships Available. Free for WIC and EBT card holders. In the Mountaineer Mall at 5000 Greenbag Rd, Suite G-12 in Morgantown.